What is Dilation of the Eyes? It is much easier to see the back of the eye once it has been dilated. Without eye dilation only 30-40% of the retina will be seen. Serious eye problems like retinal detachments and tumors in the back of the eye can be easily missed without eye dilation. 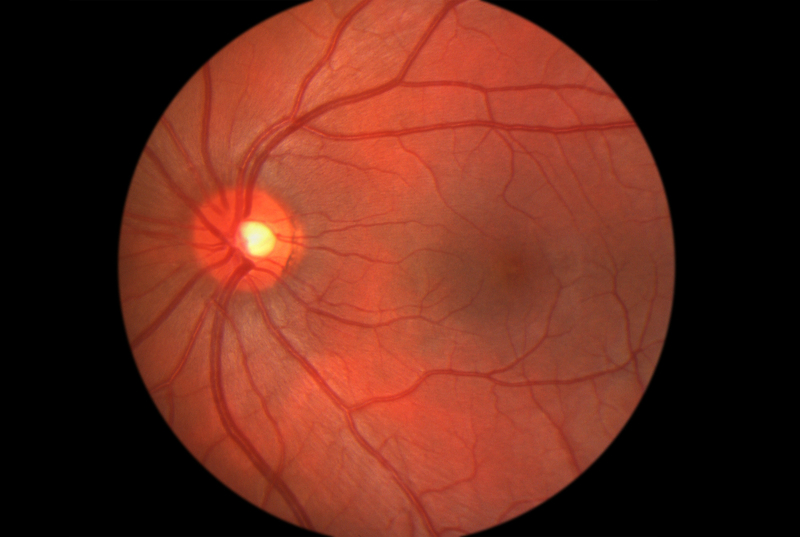 Diabetic dilated eye exams are becoming standard today and can prevent much of the sight loss that occurs. Once your eyes are dilated eye examination equipment can be used that allows your eye doctor to view the back of your eye with both of their eyes. This allows 3D viewing, and just like the 3D movies today, more depth can be appreciated. When their is subtle swelling from an eye disease it is much more likely to be detected with this type of eye test. With children’s eye examinations (and some adults) it helps determine more precise readings. A side effect of dilation is the temporary loss of focusing for near vision. This reduces fluctuation ion the eye examination prescription findings. It Depends-not a very good answer but a number of different things interact to determine how long you will stay dilated. Most of the time patients will experience some loss of sharpness of close vision for 1-2 hours and light sensitivity for 3-4 hours. Distance vision is usually only mildly effected. Eyes can remain dilated for over 24 hours. I like to be called when someones eyes remain dilated the next day but is usually just an inconvenience, not a serious problem. It is important to let your optometrist know if you have stayed dilated for over 6 hours in past eye examinations. We can dilute the eye dilation drops for people who are extremely sensitive. Can I drive after pupil dilation? A few small studies have tried to answer this question. Dilation in young healthy adults reduces vision but probably not below legal driving limits most of the time. Older adults may have more problems from increased glare. People who are significantly farsighted can have large reductions in visual acuity after eye dilation. If you have any doubts it is best to bring along a driver. The most important thing is making sure you wear the roll-up protective sunwear we provide. Even if you have sunglasses, on bright days like we have in Fort Collins, you will need the extra protection! Eye dilation drops and pregnancy-Is eye dilation safe during pregnancy? We will never know for sure since it is unethical to do the testing. The main eye dilation drops are tropicamide and phenylephrine. Both of these eye dilation drops are labeled category C since no animal or human testing has been done. They are only recommended for use during pregnancy when benefit outweighs risk. Both have been used thousands perhaps millions of times during pregnancy and are presumably very safe to use. We still recommend not using these eye dilation drops during pregnancy unless their are symptoms that indicate eye dilation is needed. Please verbally inform Dr Kisling if you are pregnant or think you might be pregnant. Some eyes are at risk for developing a sudden form of glaucoma (known as angle closure glaucoma). This is a very rare condition that occurs about once in every quarter of a million pupil dilation tests. Normally it is a good thing to have after dilation since it allows for early treatment (and often cure) of a condition that will happen over time without the use of eye dilation drops. If you feel very nauseous and ill with blurred, hazy vision and severe headaches and eye pain we would like you to notify our office immediately. Please use the 24 hour phone line. Intoxication: A very rare side effect of eye dilation drops is a form of intoxication and even hallucinations. I have had one patient (out of 40,000+) have this type of reaction. If you feel euphoric or other strong emotions let our office know immediately. It might feel very good but you at minimum need a ride home! Knowing your health history, current medications, and how you have reacted to eye dilation drops in the past helps us avoid any untoward side effects. This is a very important eye test that is routine part of preventive medicine for a lifetime of healthy vision. They probably used atropine or homatropine instead of tropicamide to dilate her eyes. Atropine can last up to 3 weeks. It is not really normal for her eyes to be changing like you described throughout the day. It could be completely unrelated to the dilation drops. There is a condition called “Benign episodic unilateral mydriasis” that can cause changes in the pupil size throughout the day. There are also variations of Horner’s Syndrome that can cause a similar thing. You should note if this is happening in one eye or both eyes, how often, and if it truly is changing throughout the day or if her pupils are just dilating more when it is darker and constricting when there is more light. If there are still effects from the drops this would be the case, but the reaction to light might be much slower than normal. Call her eye doc and let them know what is going on. Hopefully they are back to normal now. Only time will return them to normal after dilation. There is a prescription drop but has to be compounded by a pharmacy so it would take longer to get than the time it takes the eyes to return to normal. I would recommend following up with the specialist to make sure you don’t have a case of bilateral Horner’s Syndrome. Chances are you will be fine as it has been ten years. Some things are more difficult when dilated, especially evaluating binocular function (or how your eyes work together). On the other hand, at times it is possible to arrive at a more accurate prescription after dilation due to the cycloplegic effect of the drops ( the part that eliminates your capacity to focus up close). This is especially true if your are not consistently focusing at one distance. I ally like to have readings both with and without drops if that is the case. Hope that helps.